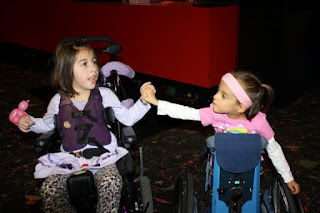 Micro Preemie Twins: The Story of Holland & Eden: Bowling Bonanza! 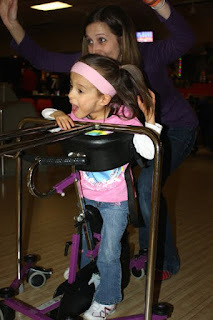 We are looking forward to taking the girlies bowling this weekend for a great cause. 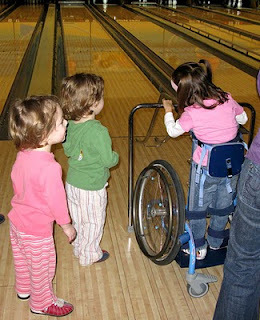 Kelly's Kidz is holding their 2nd Annual Lucky Strike Challenge. We had a really fun time last year, even though Holland was sick in the hospital and couldn't go. 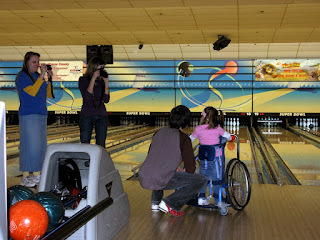 ...and show off our mad bowling skill! Hello! I have been following your blog for a while now and have never posted. I am walking in the March of Dimes this year and am featuring some of the preemie blogs I visit on my own blog. I linked to yours today. I hope that is okay!